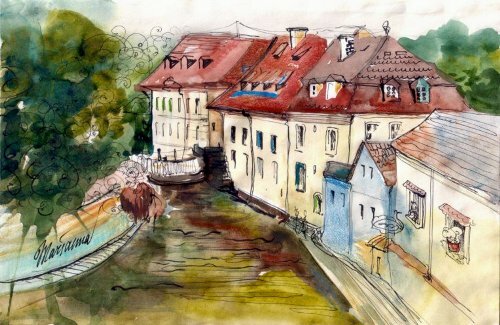 Russian artist Marianna Fedorova is also known as Marianna Murzilkina by her spontaneously formed pseudonym – from “Murzilka”, a popular Soviet magazine for children. 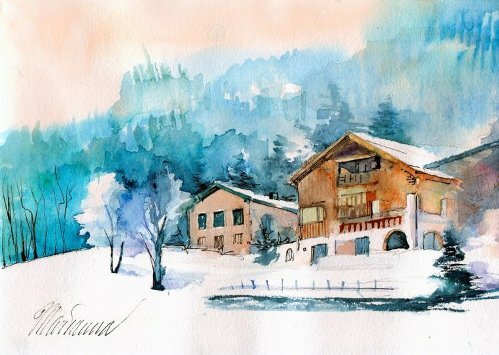 The nickname was intended to emphasize her eternal positive attitude and the desire to create light-colored items. 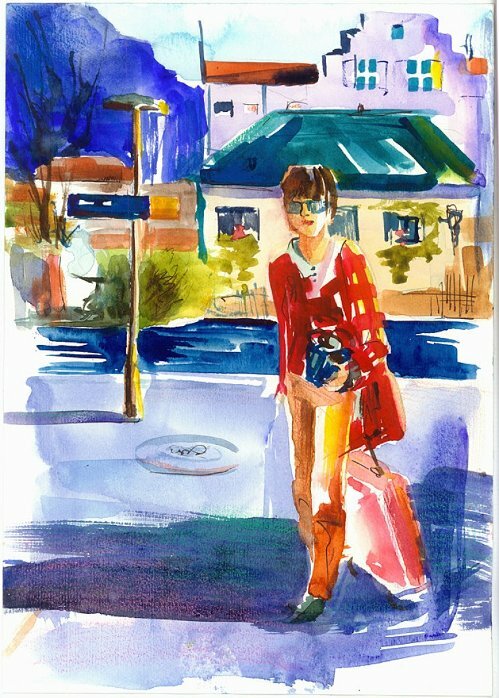 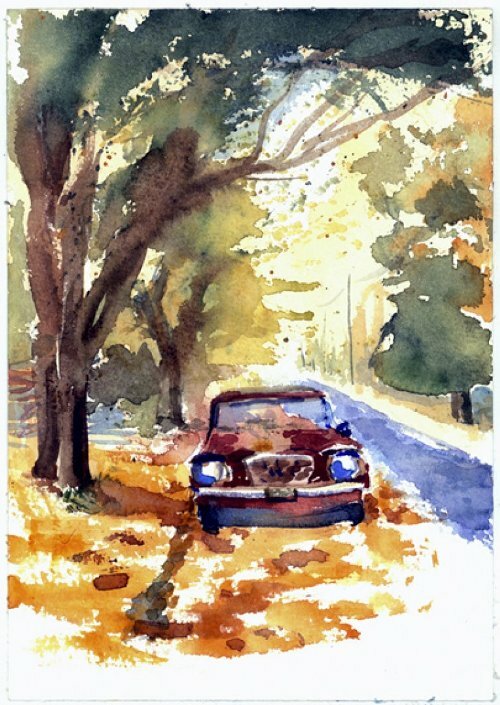 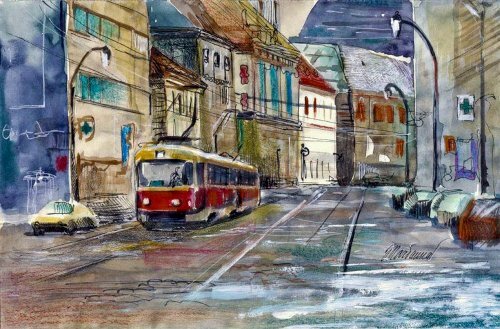 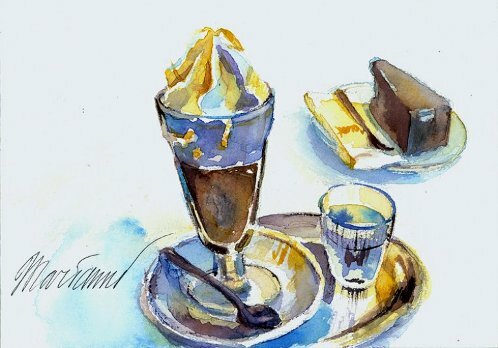 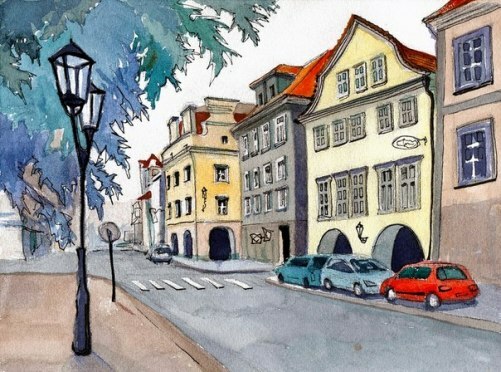 Marianne Murzilkina creates colorful watercolor images and drawings on paper, which are mostly cityscapes, like travel cards from the places she has visited. 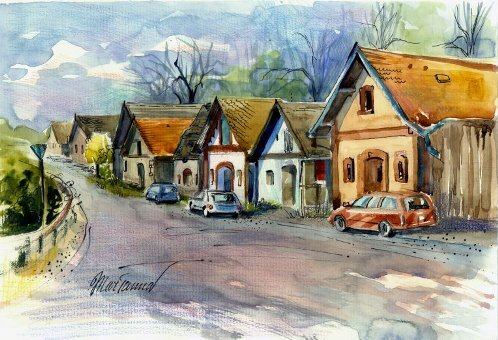 Marianne graduated from the Faculty of Arts and Cultural Studies of Ural University, majoring in Cultural Studies in 2010. 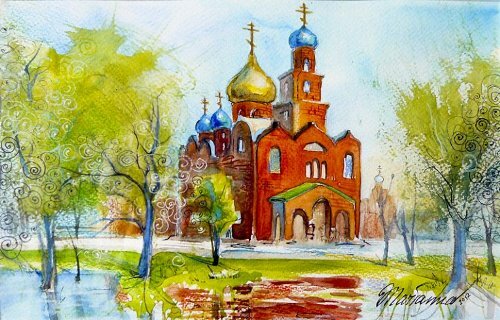 Now she works at the Sverdlovsk Art College of I.D.Shadra, the Department of Painting, and at the Ural State Architectural Academy, the department of fashion design. 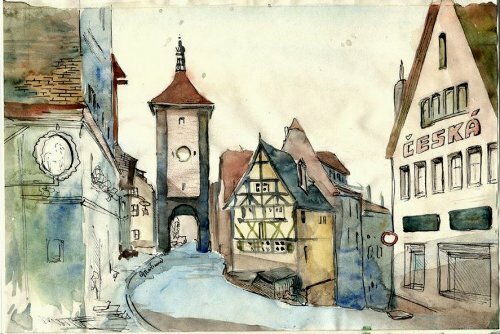 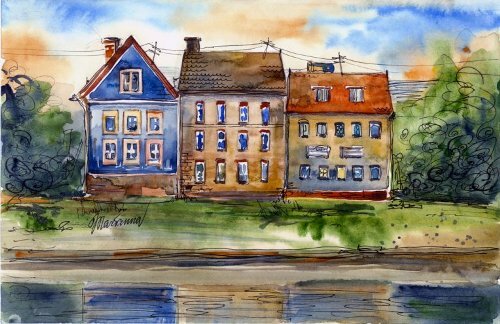 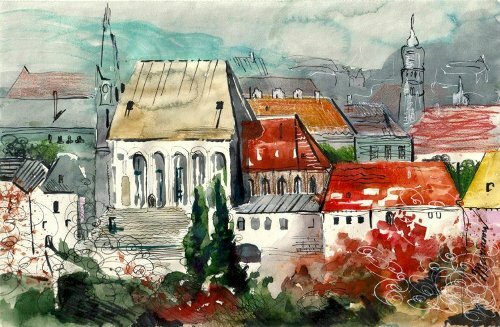 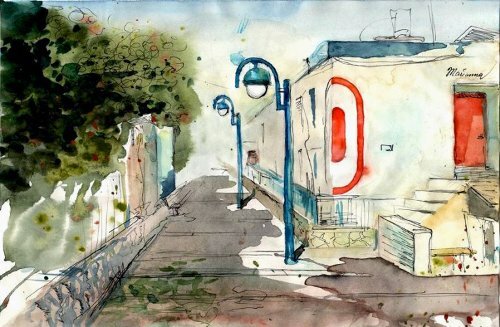 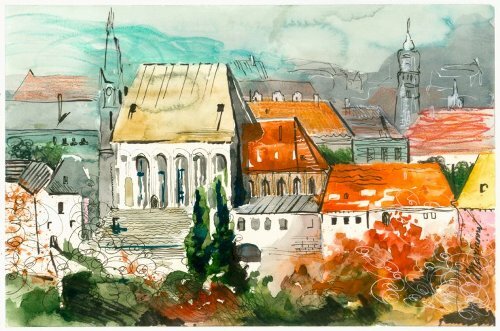 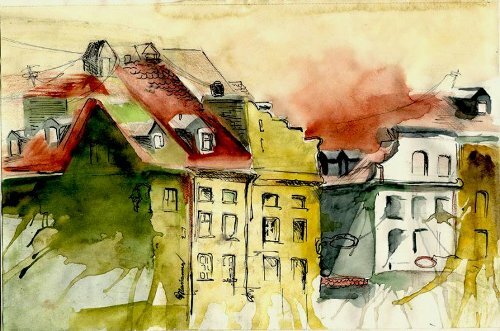 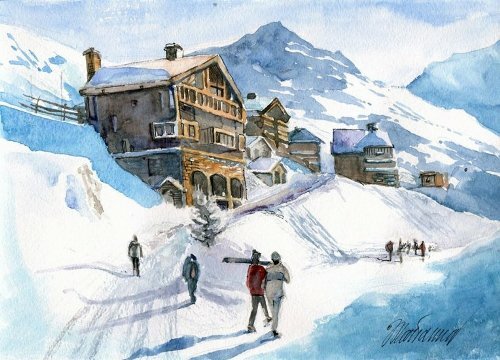 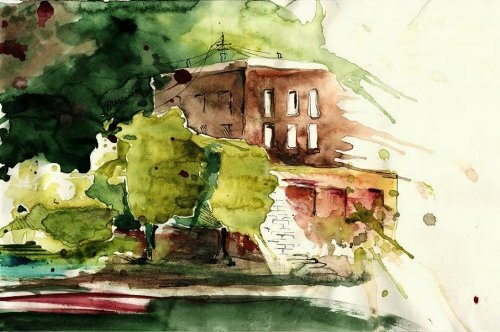 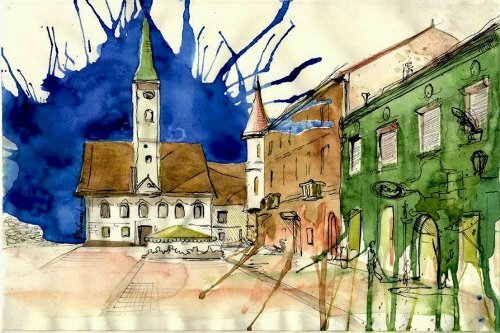 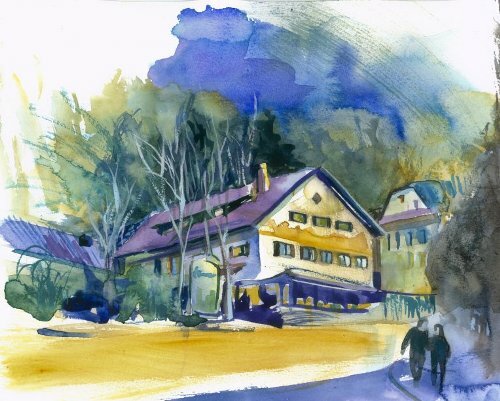 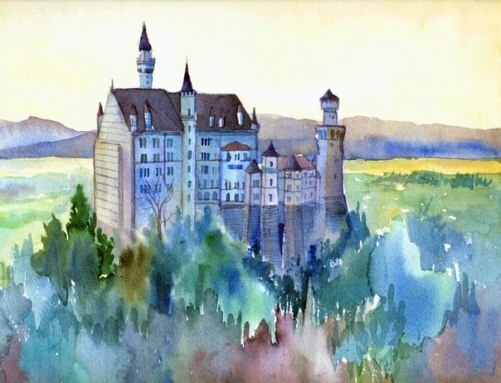 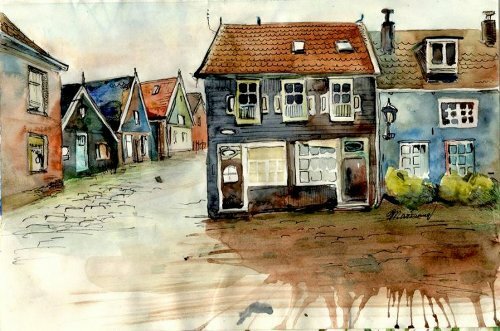 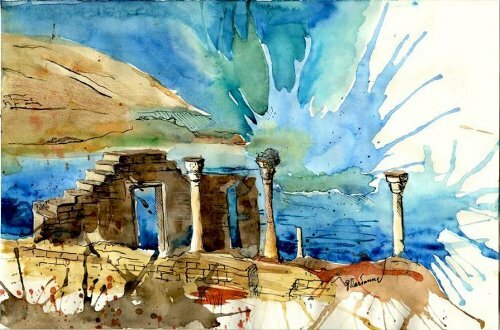 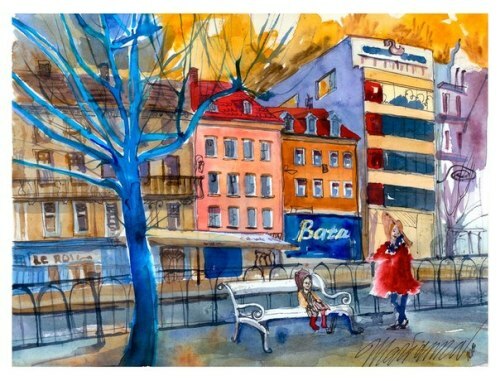 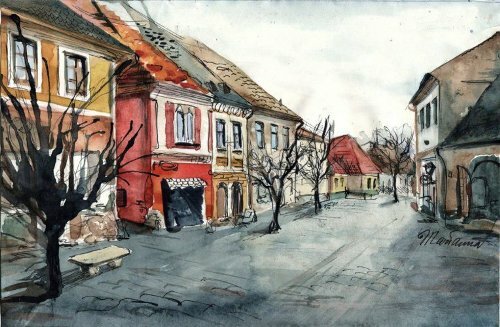 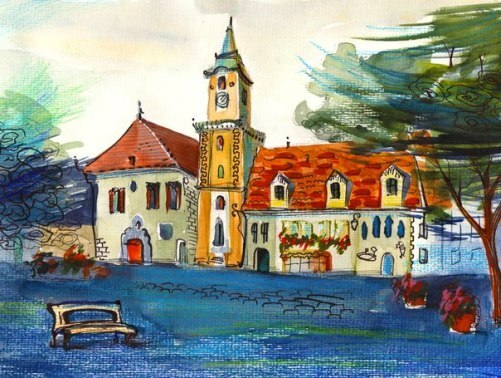 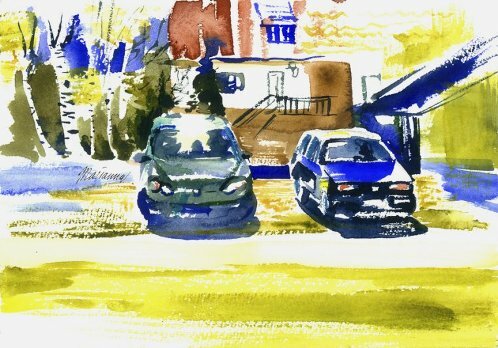 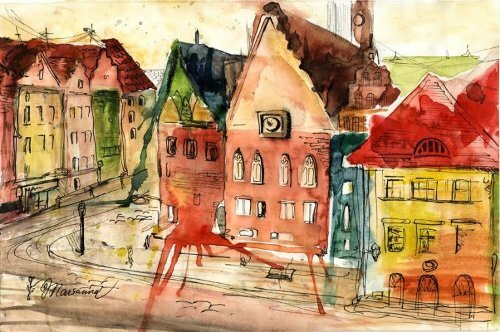 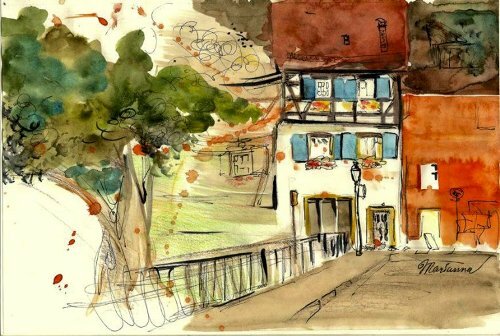 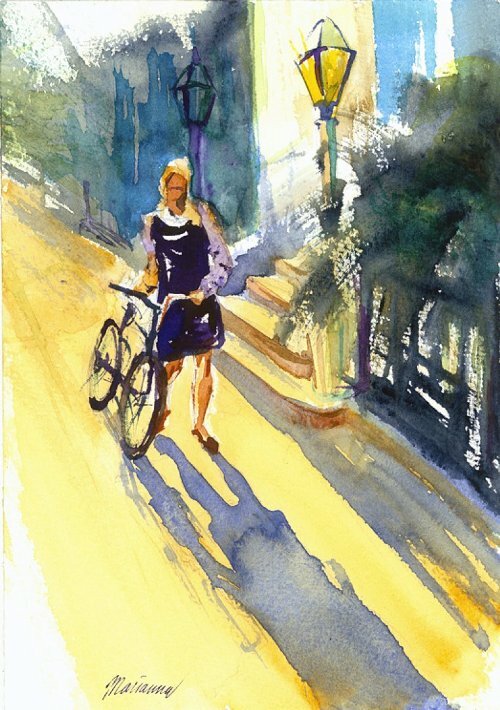 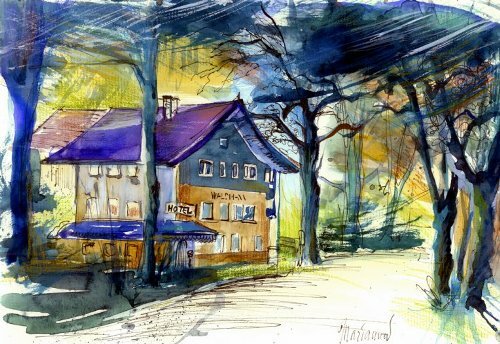 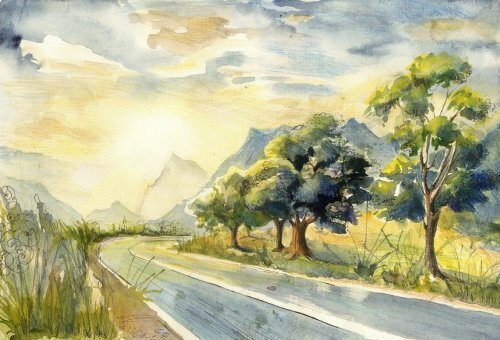 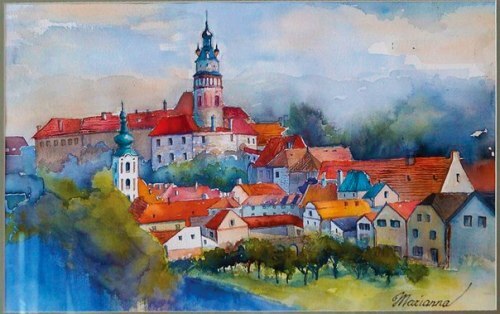 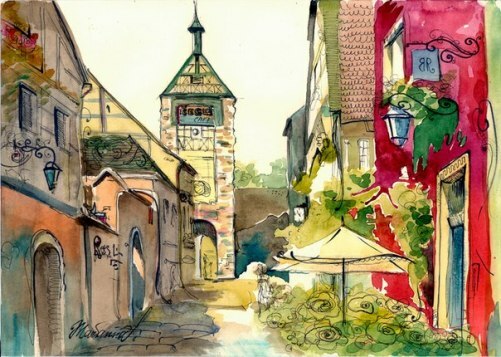 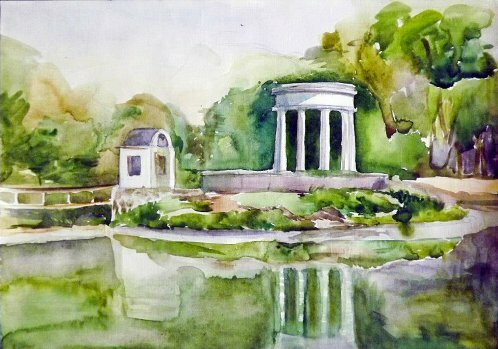 In 2012, Marianne Murzilkina had her first solo exhibition, entitled “In the light of the Old World.” In a series of watercolors were featured the European houses, courtyards, town halls, towers and the like. 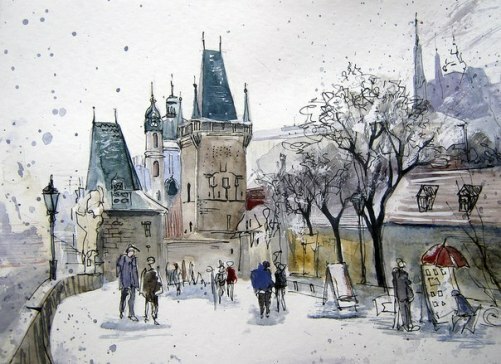 – Joint open-air, field trips to other cities, workshops and seminars. 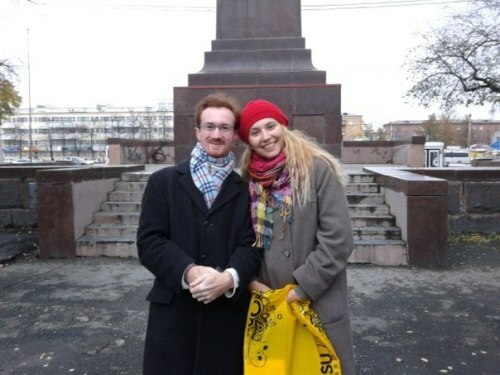 She works in Yekaterinburg, Chelyabinsk, Perm and Moscow.